The fantasy/horror film comes to life with the Funko Pop Pan's Labyrinth figures. Options from the Pop! Movies line include a few of the imaginative subjects from the story. Directed and written by the acclaimed filmmaker Guillermo del Toro, Pan's Labyrinth was widely praised by critics. Although a fairy tale at its core, the movie skews to the adult side. 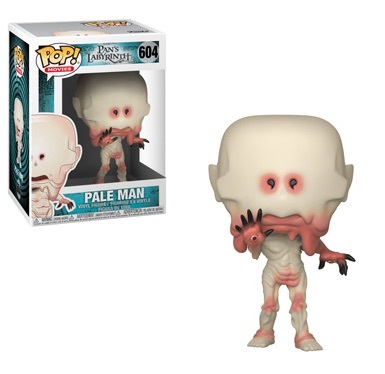 That becomes more clear when you see the creepy figure for Pale Man, an evil creature that eats children. Seemingly blind, his eyeballs are situated in the palms of his hands, making for an oddly terrifying look. Shop Funko Pan's Labyrinth Figures on Entertainment Earth. There is also Fauno, a half man-half goat wielding a blade who speaks in riddles. Fauno acts as the guide in Pan's Labyrinth. The same actor, Doug Jones, actually played both Pale Man and Fauno. While the Pan's Labyrinth vinyl release is rather small, collectors can find a Guillermo del Toro figure issued alongside the Pop! set for The Shape of Water. 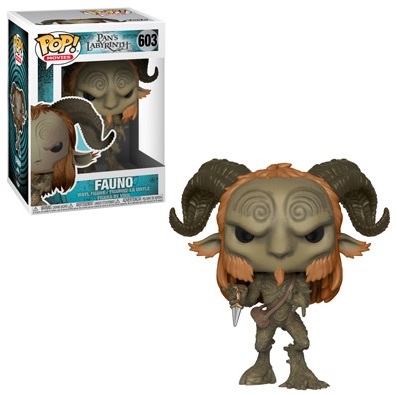 Pan's Labyrinth - Fauno Pop! Vinyl - FunKo Free Shipping!